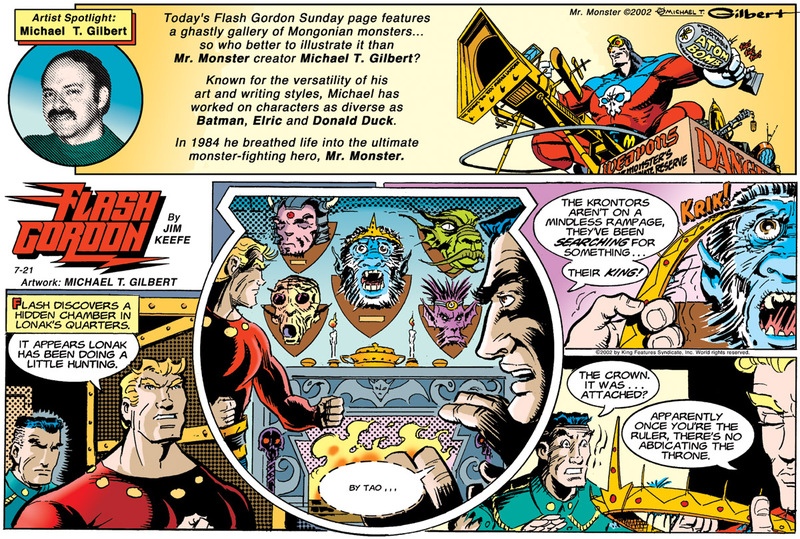 Today’s Flash Gordon strip (11/9/2014) originally ran on July 21, 2002. 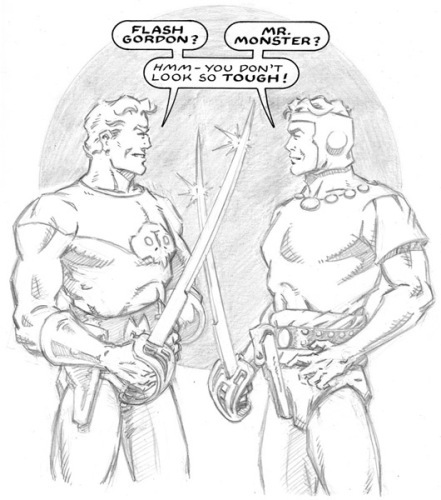 The guest artist was Mr. Monster’s own Michael T. Gilbert. 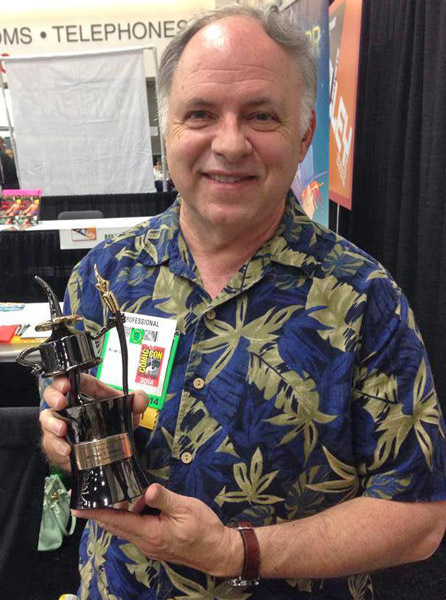 Comic-Con International 2014 Inkpot Award. 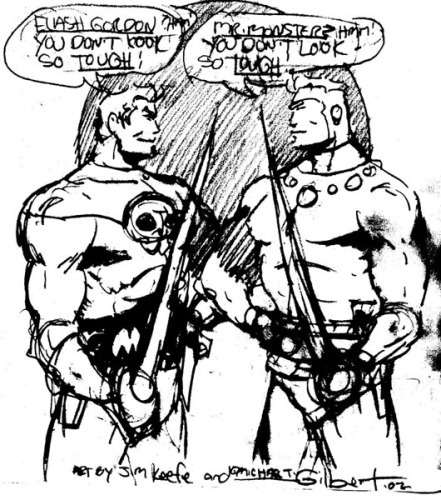 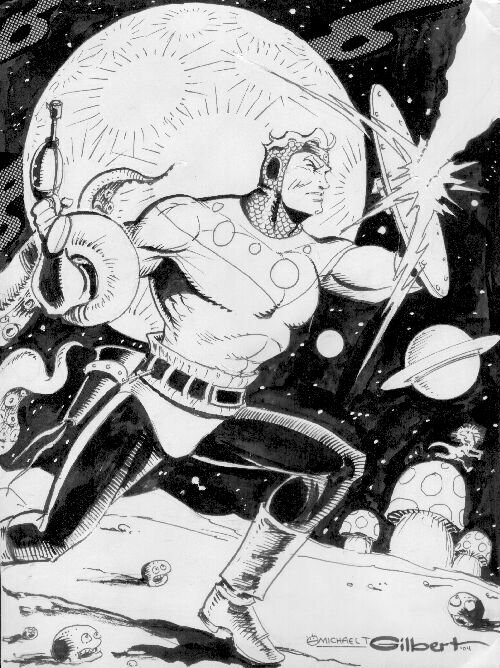 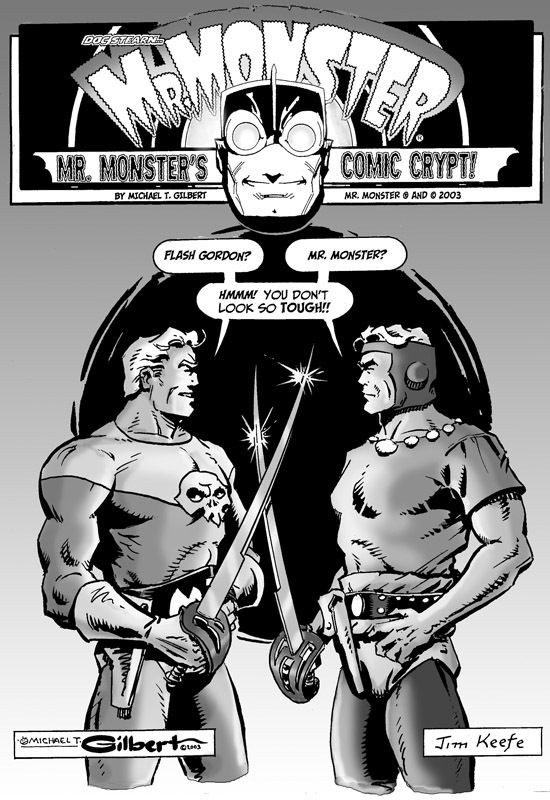 This entry was posted in Flash Gordon, Michael T. Gilbert and tagged Flash Gordon, Michael T.Gilbert, Mr. Monster. Bookmark the permalink.